DreamWorks How to Train Your Dragon is at an end and the ride was wonderful. Ever since I saw the first film, I felt this adaptation of Cressida Cowell‘s works was special onto itself. I followed Riders of Berk and Race to the Edge. The former was formulaic (gotta train ’em all mentality) and it simply needed a boost in the world building realm to make it a must-see. Vikings have always been dragon hunters and the citizens of Berk dared to defy convention by caring for these winged creatures. Throughout these trials, Hiccup and Toothless were inseparable. 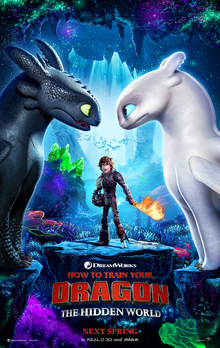 With the third film now out in theatres, we discover a female dragon of Toothless and she will no doubt drive a wedge between the two; love blossoms and Toothless is hilarious trying to court the lady. Writer-Director Dean DeBlois looked to mating rituals of birds and reptiles to create some Buster Keaton-style comedy gold. The story does not get any much bolder as it follows down a similar path as the second movie. Dragon hunters want to destroy the species and use them as instruments of war than faithful companions. Anyone who enjoys reading comic books, meeting celebrities and shopping for geeky novelties will flock to events like Fan Expo Vancouver (FXV), no matter when or where it takes place. This year, they moved from their November slot to October mid-month, from Oct 12-14th and scaled it back. Those who have frequently been to this annual event noticed. Instead of taking up two floors of the West Vancouver Convention Center, everything was packed into one space. As I have reported in previous articles, the East Building has SHUX, a closed to the public board game event. I could approach check-in and look yonder to know the layout was similar to FXV’s. And that’s to pack everything into one space instead of spreading it out. This event probably took up three-quarters of the main floor. On the map, the area dedicated to panels and sellers were smaller and I was glad to know I was not missing anything special. Attendees to this event were not here to shop, but rather play demos and new games; I could not spot card games like Magic the Gathering. If I had to pick between two events the same weekend, my money is on Fan Expo. The views and opinions of this editorial are my own and do not reflect that of Otaku no Culture. I’m probably done with Disney’s Star Wars. 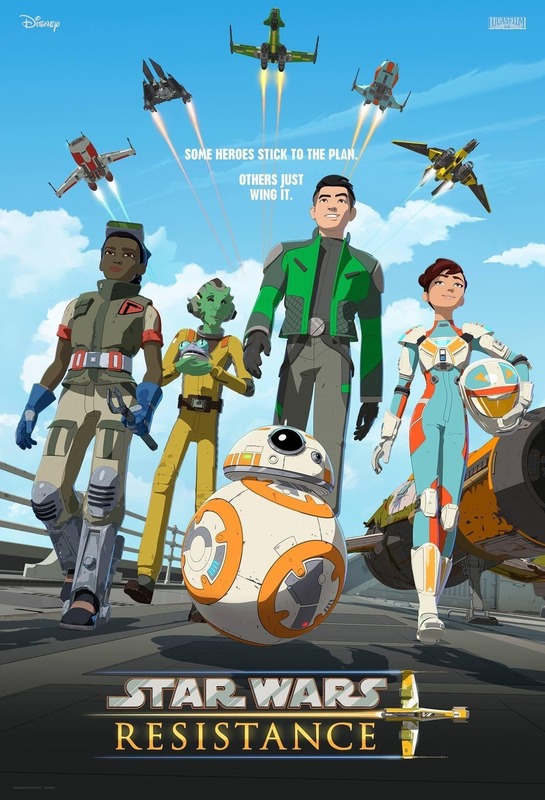 The animated series, Rebels was great, but I’ve had major issues with the direction they’ve taken with the franchise as a whole. I have no interest in seeking out this show as the trailer just screamed ‘kids show catering to the kids starring kids’. While that’s a perfectly acceptable approach, it’s just not what I’m looking for. Normally I’d give it a shot to see if I’m proven wrong, but nearly everything they’ve done with the series on screen and behind the camera has severely let me down and the previews for Resistance did nothing to interest me at all. Many episodes on, I still had no interest in watching. Sadly it’s looking like Star Wars just isn’t for me anymore. I was originally avoiding Solo, but I was bored last week so I finally watched the first Star Wars film to fail. And despite some issues I have with it, it was still the most fun Star Wars film Disney made so far. It wasn’t full of epic, loved characters who were all completely depressed and beaten down by life. Seriously, who thought that a perpetually depressed Leia, a Luke that ran away from the world, a Han that gave up on the life he’d made, and the completely unexplained negation of the victories of the original movies were the formula for the return of Star Wars that the fans wanted to see? One of my biggest gripes was in how Disney wiped away the Expanded Universe [now called Legends – Ed]. When they bought Star Wars, they didn’t just buy films and books and copyrights. They bought the Star Wars Universe and the fans which go with it. Star Wars is one of the very few creative properties that transcend the original presentation. And if we’re being honest, while they are VERY important, the Star Wars films are also a VERY small percentage of that universe. When they dropped the EU, they dropped the vast majority of what made Star Wars special as a franchise. Sure they’re making money, but at this point, it’s like Apple. They used to be amazing. But now they’re coasting on their former reputation and the fans continue to buy simply because of the name brand. Alvin Schwartz‘s book trilogy, Scary Stories to Tell in the Dark, is getting ready to film, and headlining this work are Michael Garza (Wayward Pines, The Hunger Games: Mockingjay – Part 1), Austin Abrams (Brad’s Status, The Americans), Gabriel Rush (Moonrise Kingdom, The Grand Budapest Hotel), Austin Zajur (Fist Fight, Kidding), and Natalie Ganzhorn (Make it Pop). Production started this week and the first movie is due to hit theatres hopefully in the 2019/20 season. This film is being produced by Guillermo del Toro, Sean Daniel, Jason Brown, J. Miles Dale and Elizabeth Grave. It will be directed by André Øvredal (The Autopsy of Jane Doe, Trollhunter), and the adaptation will be handled by Kevin Hageman and Dan Hageman (Trollhunters: Tales of Arcadia), del Toro, Patrick Melton &and Marcus Dunstan.